Mortal Kombat is one of the most successful and influential video game franchises ever created. Having celebrated over two decades of success and with nine games in its legacy and an all new next gen platform game being released on Tuesday 4/14, the Mortal Kombat brand is a top rated and earning game brand that is a fan favorite. With gamer anticipation at a record high, millions of units of the game have already been pre-sold. 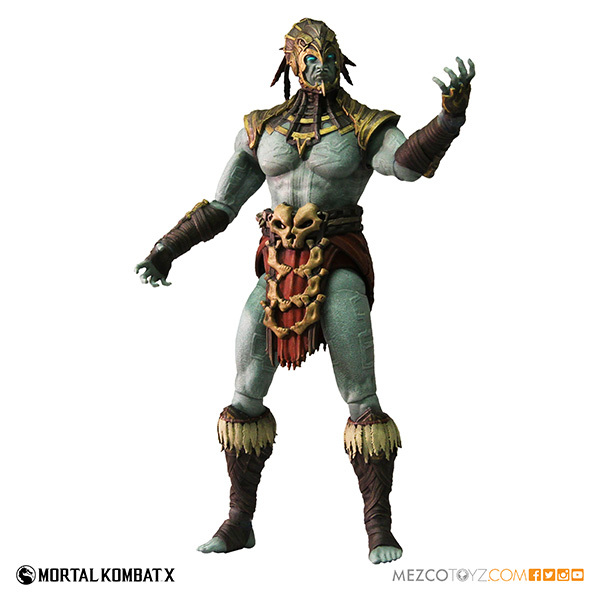 Kotal Kahn: A new character in Mortal Kombat X. A general under Shao Kahn's command, he is of the Osh-Tekk race. He then served under Empress Mileena after the death of Shao Kahn. Eventually Kotal seized control of the throne and Outworld. Now, he faces Mileena and Reiko in a civil war for Outworld.